Graphic designers express their message of a design through colors. But only a strategically used color will evoke an intended emotion from the viewers. The decision to incorporate specific colors is usually taken first by considering the brand personality of a company. So, a designer may pick up warm or cool colors or may combine them to create a unique logo design. 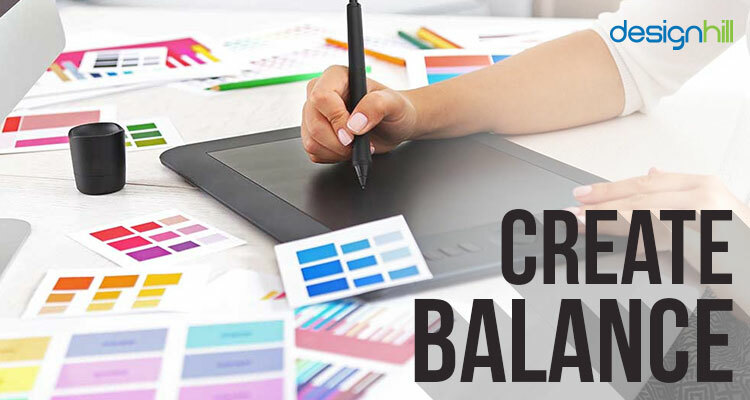 Graphic designers lay so much emphasis on the right selection of colors when designing a logo. This is because the human mind is sensitive to visuals and responds quickly to what it sees. Colors strike our minds either consciously or subconsciously. So, the message from the color is any way registered in our mind. Remember that the message may be positive or negative. For example, if a logo evokes some passion, it is the message it wants to convey to the viewers. But if the designer wrongly uses a different color, that too will evoke a wrong emotion. Such a logo will not be able to target customers. But the viewers will get a message, though it will not be the one a company wanted. Modern graphic designers know about the psychology of colors. They use the psychology to bring resonance to their logo designs or other designs. Companies make good use of the emotional impact of colors to drive customers. So, a professional designer has a good knowledge of how colors work in a design. Colors are mainly categorized as warm and cool. But warm and cool indicate temperature. So, can colors make a surrounding feel warm and cool? Well, that is not the case. We call colors warm because they psychologically make us feel warm. For example, if you live in a hot climate and want to get some relaxing feel, use cool colors in your home interior. Likewise, to feel warmer in cold climate, use warm colors. Colors may also have an effect on visible light too. For instance, cool colors reflect more light than dark or warm colors. This means that to lighten up a darker space that receives little sunlight, you should use light-reflecting cool colors. Similarly, if a room gets too much light, to tone down its effect, use darker colors, which may be warm or cool colors. Colors are of crucial importance to the logo designers when they want to describe a logo that creates a message for its customers. One of the reasons for colors being so vital to designing of logos is that they are capable of evoking specific emotions. In fact, most of the arts such as paintings, drama, films and others use colors to create a right environment for human emotions. Colors Are Basically Of Two Types – warm and cool. The logo designers make a wise choice from these categories in keeping with the nature of a client’s business. But, studying the business and its customers’ lifestyle is also important in order to send a correct business message by incorporating right Logo Design Colors. On the color wheel, warm colors range from yellow to red-purple. Those colors that are reminiscent to fire or the sun are called warm colors. These colors and hues are reds, oranges, yellows and pinks. But when we say that a color is warm or cool, we take its emotional and psychological meaning. The reflective properties and light absorption properties of colors have nothing to do with the warmth or coolness of colors. So, when we say that a color is warm or cool, it shows its place on the color wheel. Warm colors are red and yellow. Red is the color for sizzling passion of love, energy, excitement and adventure. Therefore, red is the color to catch the consumer’s’ attention. Most of the fast food companies use red in their logos in order to secure attention of the customers. Businesses involved in vehicle manufacturing also use red to depict energy. CNN, Lays, Toyota, Macdonald, Coca Cola are some of the famous brands using red in their logos. Yellow is another warm color that is used for catching the attention of viewers. This color depicts playfulness, positivity, sunshine, warmth, joy and concern. Businesses use yellow in logo design to show positive and sunny image of their products and services. Shell, National Geographic, Nikon and DHL are some of the global brands using yellow in logos. Graphic designers take warm colors as energetic and vivid. A psychological impact on the viewers is that these colors make the surrounding seem larger, friendly, inviting and appealing. These colors express warmth of relationship. So, the designers usually pick warm colors to convey energy, sociability, and happiness. Take for example the McDonald’s logo design. It has yellow and red as two warm colors that stand for the energy of young people who are the target customers for the fast food chain. Is Flat UI Design /Color More Professional? Here is a quick description of warm colors. We give here the emotions associated with the colors. 02. When To Use Warm Colors? Graphic designers generally use warm colors when emotions such as energy, enthusiasm, happiness, etc. are to be conveyed. You should think of using warm colors only when your client’s brand message has some form of aggressiveness in it. This implies that a feeling of passion and love is best expressed through the use of warm colors. So, first get your brand personality and its message. When designing a logo, you can use these colors with cool colors but make sure that you know how to use the contrasting hues together. Your message will be the basis for the selection of the colors. However, warm colors like red are difficult to incorporate in a design. This is because red can easily overpower the other colors in a design. Similarly, pink may appear as too famine a color for your brand message. What matters is the way you mix and pair colors as per the demand of your message. 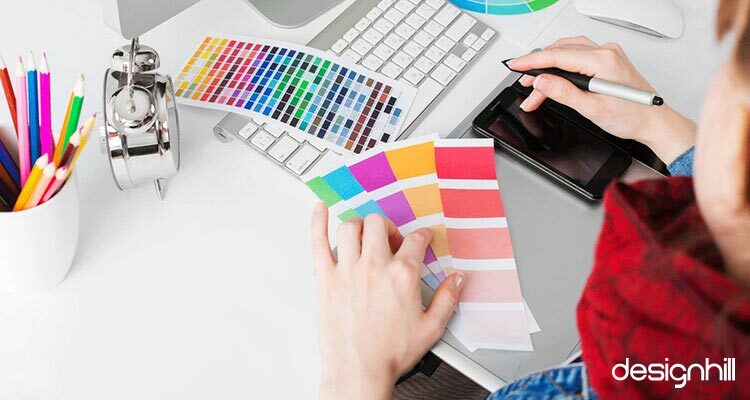 Some logo designers like to use white or simple neutrals when working with warm colors. This method helps them in making the colors feel bright, crisp and clean. If you use dark color scheme, the opposite result will be the outcome if you desire so. If you want to create a contrasting effect, place super-bright warm colors against a static background. 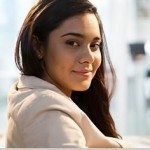 This technique will also help you in creating other graphic designs such as a website design with a desired impact on viewers. A way to work with warm color is to use 80/20 rule. This rule says that 80% of your canvas will have neutral things like the background. In the remaining 20% canvas, use strong colors. Follow the same rule when using a combination of warm and cool colors. It is also advisable to use blues, greens and violets in 20 % of the palette, and 80% should have reds, yellows, pinks, and oranges. Cool colors are placed on the other half of the color wheel just opposite of warm colors. These colors include blue, greens and purple. Mostly, these colors stand for sky, space, water and nature. Cool colors give us a calming, reserved and relaxing mood. The designers take these colors as trustworthy and harmonious. They use cool colors as neutrals when they do not want to incorporate sharper colors. The only primary cool color is blue on the color wheel. This means that all the cool hues have some shade of blue in it. Therefore, the designers usually mix a warm and cool hue to make cool colors. For example, to make purple, you can mix red and blue. 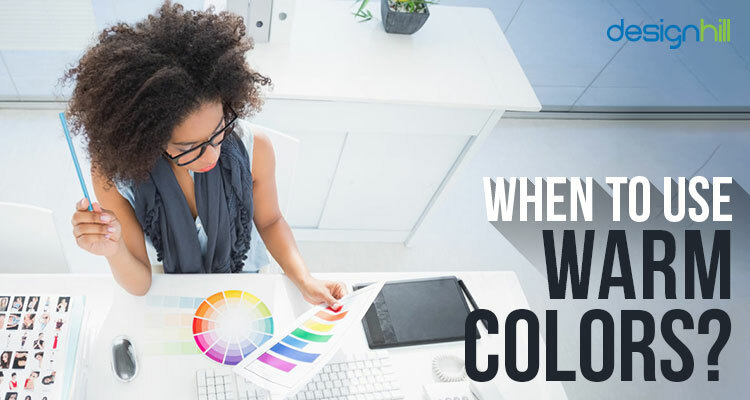 Often designers use cool colors when they create marketing materials for businesses. Your logo should contain cool colors preferably when your brand massage is about coolness and growth. For example, social media page is usually in blue, which imply dependability and trust. Financial institutions also use cool colors to convey their message to customers. You should be using green to evoke the feeling of natural harmony. Amongst cool colors, green and blue are frequently used. Green represents freshness of nature, coolness, growth, beauty, and quantity. Green has a major impact on brands and consumers. This color is also used to depict that a business is environment-friendly. Blue is another cool color for representing vastness, depth, calmness, heights, faithfulness, and success through a logo. Since water and sky are associated with blue, it represents consistency. Majority of governmental organizations, medical institutions, and technology-based businesses, drinking water companies use this strategy in Logo Design Colors. Here is a breakdown of cool colors and the emotions they evoke. Sometimes, graphic designers like to use a combination of warm and cool colors in a logo. They want to make a logo memorable in this way. It may also be that a brand personality of a product or company may require the mixed use of these colors. In that case, make sure that your logo does not let one set of color dominate the other. You can use warm colors, for example, as your main color scheme. But incorporate some elements of cool colors [and vice versa]. So, try to strike some contrast and balance, depending on the mood you want to create for the viewers. Such a business symbol will help in building logo and brand identity. So, these are the main points we wanted to discussion the use of warm and cool colors. Are you also thinking of creating a logo for your company? 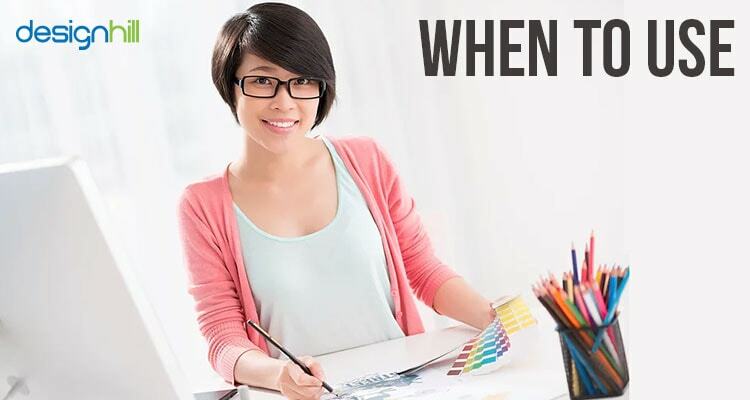 You can depend on professional graphic designers who can do the job at an affordable price. 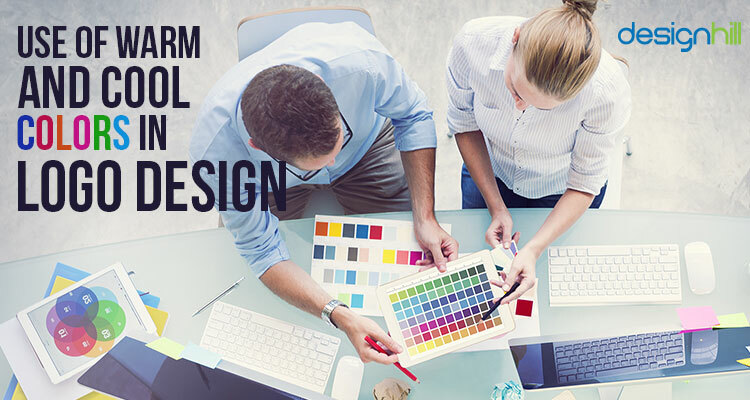 To do so, you should crowdsource your logo work to Designhill, a leading marketplace for business owners and graphic designers. You get dozens of new logo design ideas that match with your design brief. If you do not like the logos, get your money back under the site’s 100% Money Back Guarantee scheme. Warm and cool colors are used in a logo design to evoke a specific range of emotions of warmth and coolness. 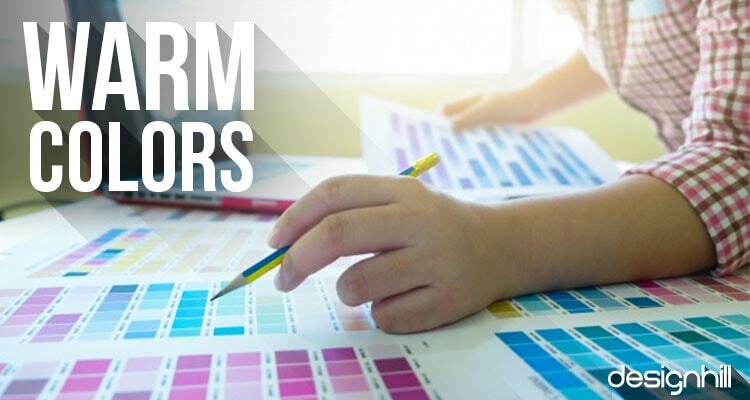 A graphic designer works on these colors to convey a brand message. Warm colors are mostly darker colors and known for their emotions of passion and aggressiveness. Cool colors evoke the feelings of calmness and lightness. A clever mix of these two categories of color is desirable in graphic designs.